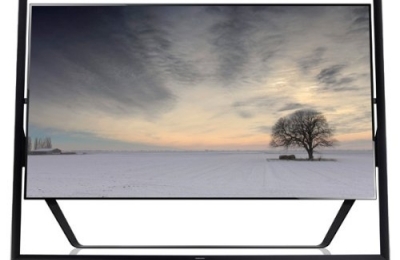 Last year the South-Korean high-tech giant Samsung released their high-end TV, the UN85S9. This amazing home-screen is described by resellers with the bombastic title "85-inch 4K Ultra HD 120Hz 3D Smart LED", mostly to justify the unreal price tag $39,999.99. According to the official specifications, the “S9 4K Ultra HD TV” boasts four times the resolution, and precision-black backlight technology, providing you with new levels of enjoyment from watching your favourite movies and TV-shows. Some of the other features include a Smart Touch Remote, Internet connectivity with built-in Wi-Fi and a Quad-Core processor. This TV may be very attractive even if you can't afford it, however the specifications and high price tag are not the only shocking things about it. Amazon.com has over 1000 product reviews and is worth your time to read through a few of them. I was going to fund my daughters wedding in Hawaii, but I figured this Samsung TV would last much longer. Just cashed in the kids' college funds and dropped them off at the Army recruiting station. I got the TV, they got a career. I think it worked out well for everyone. My friend pays a lot of money in child support. I convinced him that child support was a waste of time and he agreed. To repay me for helping him realize he was dumping money into a bottomless pit, he took out a second mortgage to buy me this dream television. The television is worth every penny and his kids will be just fine in public school. Some of you may think I'm avoiding the "elephant in the room"-the real reason why this was such a heart-wrenching choice. So let's just get it out there. Yes, the 120Hz refresh rate is a disappointment, especially on a 4K. But life is full of compromises. And frankly, we hardly notice. All in all, no regrets.